British Airways’ A350 vs Virgin Atlantic’s A350 – What Plane Is Better? Through a strange quirk of fate, both British Airways and Virgin Atlantic are expecting their first A350s this summer. With most details about the two aircraft now public, there couldn’t be a better time for Simple Flying to compare the two. According to Airbus, 180 Airbus A350-1000 have been ordered, with 17 delivered by the end of March. British Airways has ordered 18 of the aircraft, while Virgin Atlantic has directly ordered eight. Virgin is, however, expecting 12 of the aircraft in total. Both airlines will be receiving four aircraft by the end of this year. The hot topic of the two A350 orders has been the interiors of the aircraft. Both British Airways and Virgin Atlantic are launching their A350s with brand new business class seats and no first class cabin. British Airways were the first to announce their new suite on the 18th March. The new seat forms an enclosed suite with a 21-inch wide seat. When extended, this converts into a lie-flat bed with a length of 79-inches. The British Airways suite has an 18.5-inch screen which provides a gate to gate entertainment experience. With a 1-2-1 configuration, every seat has direct aisle access. Every Club World suite faces away from the aisle. 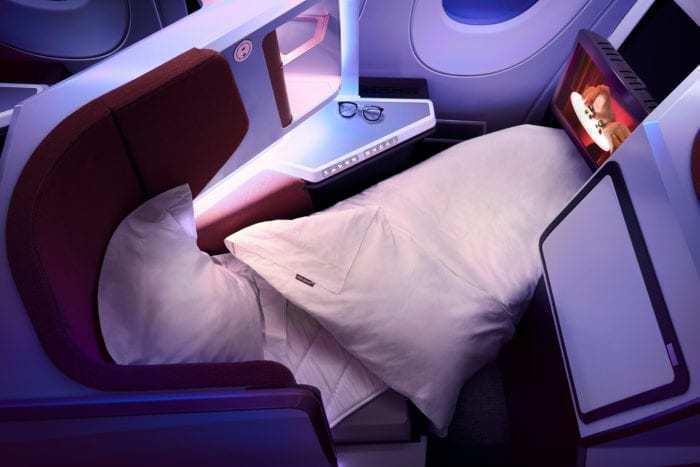 Virgin Atlantic announced its Upper Class suite exactly three weeks after British Airways, on Monday. The seat is one inch narrower at 20-inches wide, however, it is also longer at 82-inches long. The seat also has an 18.5-inch IFE screen for gate to gate entertainment. However, it lacks the privacy of the BA suite. The door only half closes and must be stowed for takeoff and landing in order to certify the screen. The cabin also has a 1-2-1 layout, however, each seat faces a window. Virgin Atlantic does, however, have a social area for Upper Class passengers to congregate called “The Loft”. The British Airways Airbus A350 will hold 331 passengers. This will be split across 56 business suites in a 1-2-1 configuration, 56 premium economy seats in a 2-4-2 layout, and 219 economy seats in a 3-3-3 arrangement. Virgin Atlantic’s A350 will hold just four more passengers. This is despite having a smaller business class cabin. Upper Class has 44 seats in a 1-2-1 layout. 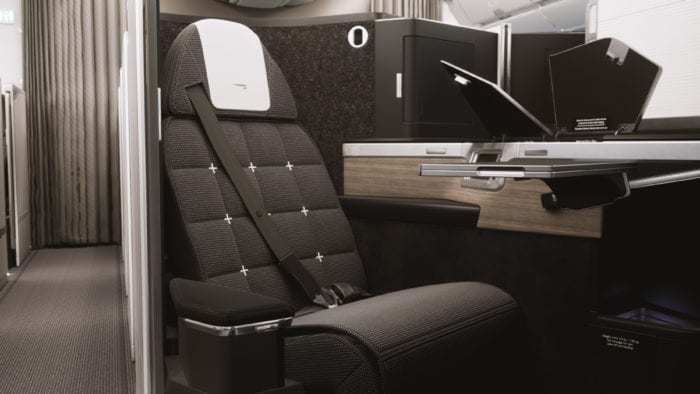 Premium economy has 56 seats in a 2-4-2 configuration, just like British Airways, and economy has 235 in a 3-3-3 layout. Both airlines are expecting their first A350s this summer. 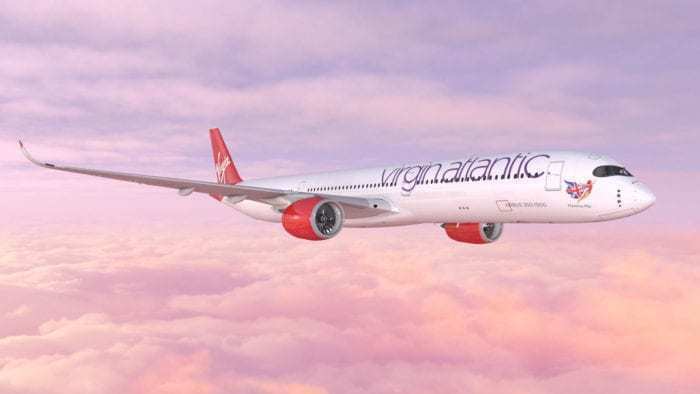 Virgin Atlantic will operate their first A350 flights between London and New York’s JFK from August. British Airways, on the other hand, won’t commence long haul A350 flights until the 1st October with the aircraft debuting to Toronto. Both the Virgin Atlantic A350 and the British Airways A350 are very good products. Other than the privacy of the British Airways suite, there is very little to differentiate the two aircraft. As such, it appears to be an overall draw in the battle of the A350s. Do you think one A350 is better than the other? Let us know in the comments down below! Personally, I only want to get from point a to point b in one piece. I can do without the lay flat seat, “chef prepared” meal. Safety, reliability, wi-fi and a supply of bottled water is everything I “require” as a first or business class passenger. Last but not least I want unencumbered OPEN access to the aisle. No closed partition for “privacy”. BA or VA. I travel with both. I can tell you from experience the service is certainly of equal value. The employees, the people of each carrier make the travel worthwhile, more times than not.